This easy dessert recipe pleases with the taste of apple pie. Perfect for breakfast on the go or a warm, personal dessert, this is a must-try recipe your family will go crazy for. 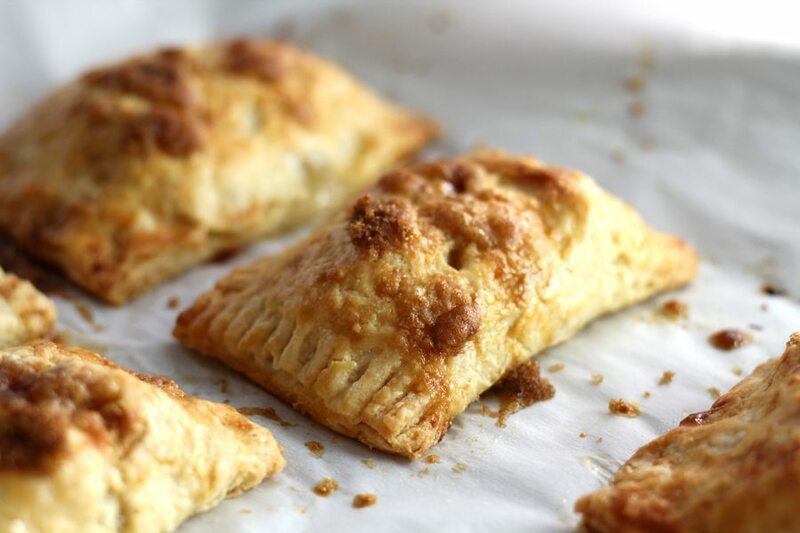 The season inspired us to make these delicious Baked Apple Hand Pies. You will love the taste of sweet seasonal fruit wrapped in a buttery, tender cornmeal pastry crust. You are going to fall in love with these apple hand pies using Luck’s Fried Apples for more than one reason. First, let’s talk about this cornmeal crust. Yes, I said cornmeal crust. If you have never tried a little cornmeal in your pie crust, now is the time. The texture really is amazing. Tender and flaky, you will have a hard time going back to a traditional crust. 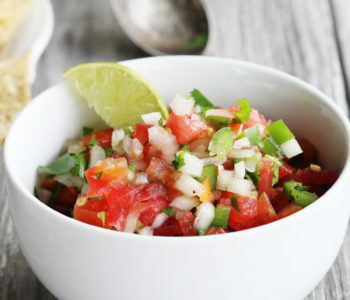 Follow our step by step recipe at the bottom of this post to get the how-to. 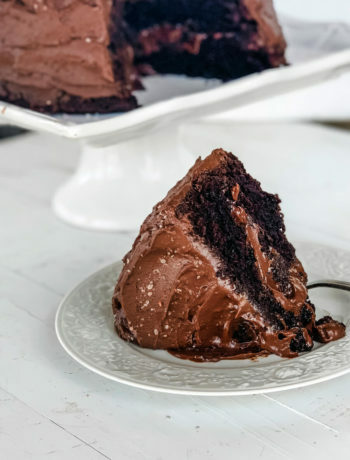 Now, let’s talk about the filling. 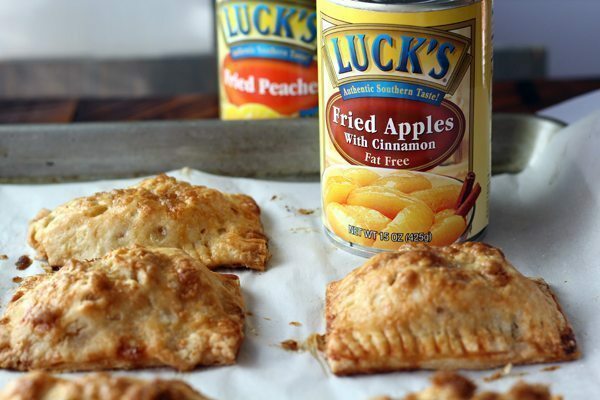 Our filling for the apple hand pies is one of our go-to fall baking secrets: Luck’s Fried Apples. 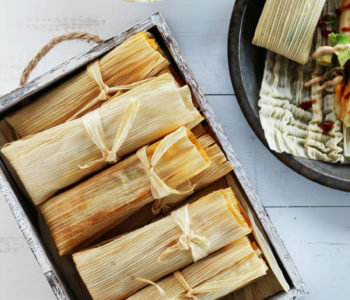 They are the perfect fruit to use for this recipe. 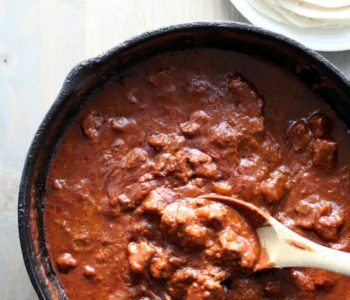 The perfectly spiced apples are tender but still firm, never mushy. You get fresh flavor right from the can. This kind of flavor can only be found in a premium product like Luck’s. 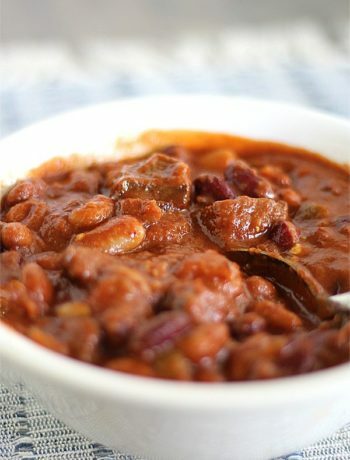 Luck’s Fruits have authentic Southern taste and are perfect for all of your classic dishes. Did you know Luck’s has been delivering premium quality beans and fruits since 1947? Click here to get a coupon for your next purchase. Spoon the apples onto the pastry rectangles. Fold over, press the edges and seal. 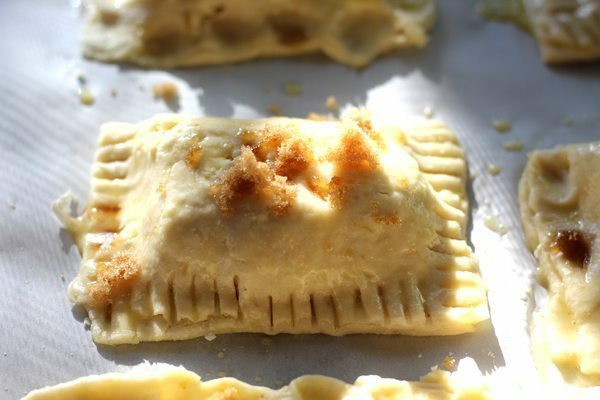 Brush each hand pie lightly with egg wash, then cut a couple of vents into each. Too easy, right? 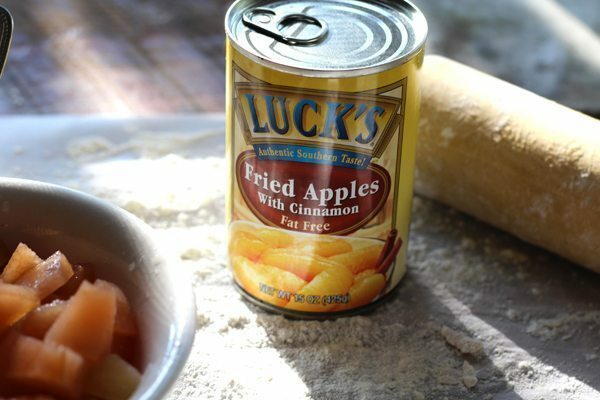 Think of all of the yummy fall recipes you can make with Luck’s Fruit. 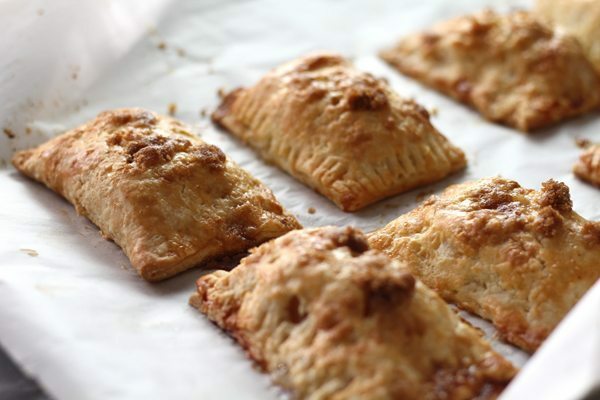 We sprinkled the top of our Baked Apple Hand Pies with just a little brown sugar before baking. Why? Because brown sugar. You can also top these when they are finished baking with a cream cheese drizzle, caramel sauce or brush with melted butter. The choice is all yours. Aren’t these absolutely gorgeous? Just wait until you taste them. The warm, buttery pie crust crumbles and melts into the warm, apple-cinnamon flavor. You will have a hard time eating just one. Once the hand pies are done baking, transfer them to a wire rack to cool. Taking pictures is totally optional. 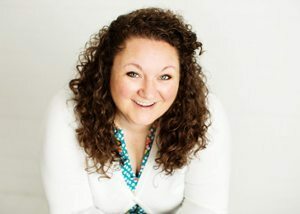 Be sure to check out Luck’s home page for more ideas and information. In a large bowl, stir together the flour, cornmeal, sugar and salt. Using a pastry cutter or fork, work the cold butter into the flour mixture until it is crumbly and the butter is pea-sized. Shift the butter and flour mix to one side of the bowl. On the empty side, add 1 TB of water and toss the dry mix into it. 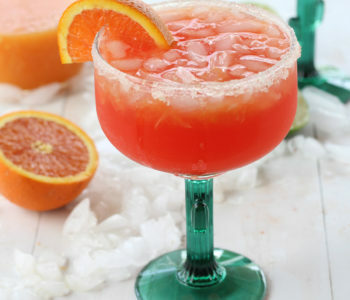 Continue this process, one tablespoon of water at a time, until the mixture is moist. 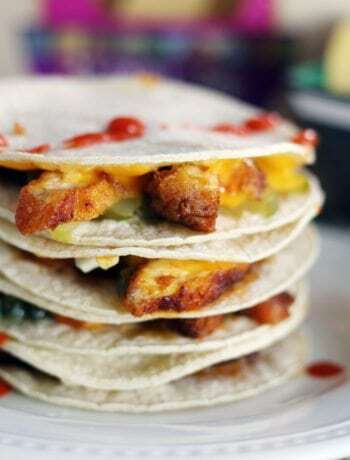 Work quickly and do not overwork the mix or the crust will be tough. Press the dough together into a flat disc, wrap tightly in plastic wrap and chill for at least one hour. Preheat oven to 375 degrees and place oven rack in center. Line a baking sheet with parchment paper and set aside. On one side of each rectangle, spoon about 2 tablespoons of chopped Luck's apples. 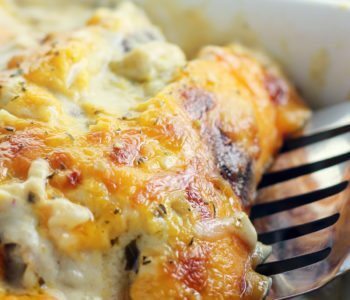 Fold the dough over, press the edges together, and crimp with a fork to seal. Whisk together the egg and 1 teaspoon of water. 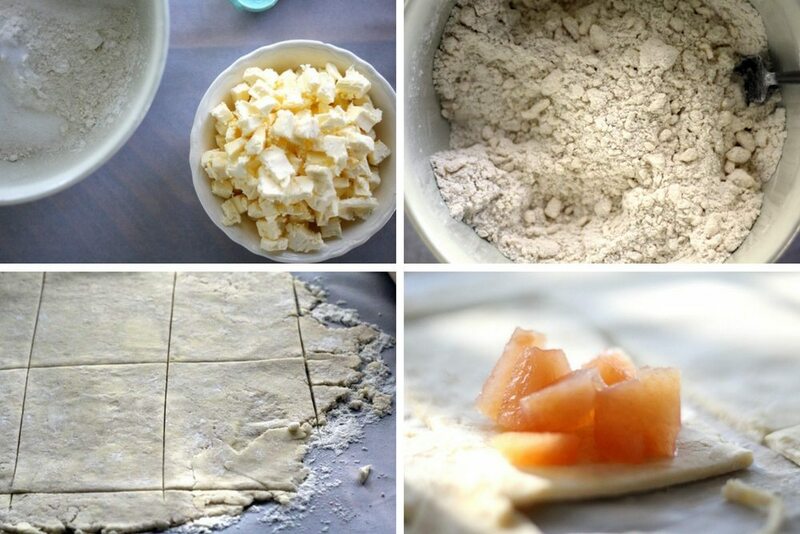 Brush the top of each pastry lightly with egg wash. Cut small vents into each hand pie. Sprinkle the top with brown sugar (if desired). Bake for 40 minutes until the hand pies are golden. Transfer to a wire rack to cool. Wow, Teri! 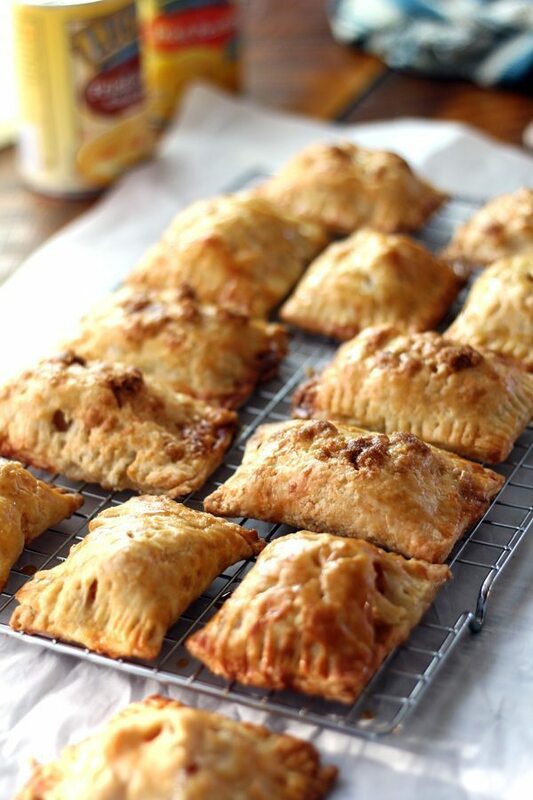 These hand pies look beyond delicious. I’m already drooling on my keyboard.